SES continues its leadership in satellite-enabled 5G networks by providing satellite fleet capacity, ground infrastructure and end-to-end solutions to the 5G Verticals Innovation Infrastructure (5G-VINNI) project, SES announced today. These contributions will enable 5G demonstrations and validation of the target 5G Key Performance Indicators and use cases. The project will explore solutions in areas such as public safety, eHealth, shipping, transportation, media and entertainment, and automotive. The 5G-VINNI project is supported by the EU’s 5G Infrastructure Public Private Partnership (5G-PPP) Horizon 2020 Research and Innovation programme, and is aiming to accelerate the uptake of 5G in Europe. The project is led by Telenor Group and comprises 23 partners including leading mobile network operators (MNOs) and industry vendors. Among key 5G-VINNI objectives are to design 5G end-to-end facility and interworking sites, to provide user friendly orchestration, and to develop a viable business model to demonstrate the value of 5G solutions and enable their widespread adoption. SES is committed to the advancement of 5G and the development of 5G standards for the satellite industry. Other key SES projects include a successful live demonstration of integrating satellite into 5G networks at the EuCNC2018 and the development of satellite-terrestrial integration for 5G networks as part of the European Space Agency (ESA)’s ARTES project, SATis5. SES will provide various satellite-enabled capabilities to allow demonstration of 5G use cases, including a rapid response solution that provides satellite backhaul for terrestrial communications within emergency response and public safety scenarios. 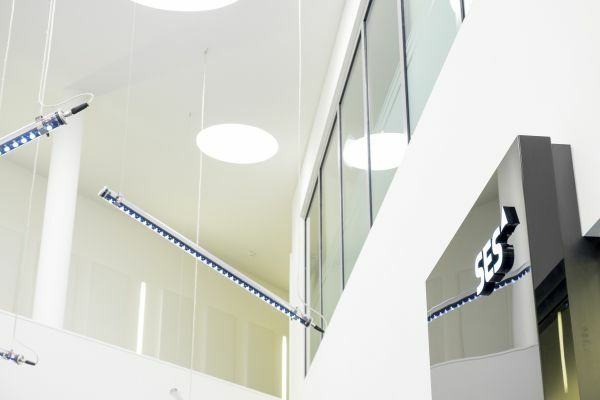 SES will also provide access to a testbed facility used for other 5G projects. Additionally, in collaboration with the mobile industry partners, SES will continue to contribute to standardisation efforts aimed at supporting seamless satellite integration into the 5G ecosystem. The 5G-VINNI project will leverage the latest 5G technologies, including the output from 5G-PPP initiatives such as the SaT5G project, in which SES is a key partner. This approach employs advanced network virtualisation, as well as radio and core technologies, among others. In addition, an automated testing campaign will be employed to validate 5G building blocks under various combinations of technologies and network loads. The 5G-VINNI project will leverage satellite capabilities to enable the overall communication ecosystem and connect multiple locations across Europe. “It’s exciting to see the momentum that the 5G ecosystem has developed in recent months, with growing recognition of the value of satellite in accelerating the rollout of 5G. 5G-VINNI is an excellent example of how industries can come together to develop scalable 5G use cases for key verticals,” said John-Paul Hemingway, CEO at SES Networks. “Today, SES is working on multiple tracks to ensure satellite is easily and seamlessly integrated into the global 5G environment. We are leading the charge by driving relevant standards, achieving MEF Carrier Ethernet 2.0 certification for our O3b Medium Earth Orbit (MEO) satellite-enabled services, and developing the space and ground assets to exponentially scale those high-performance services with our next-generation O3b mPOWER system.